Tarchia in Mongolian means ‘brain’. 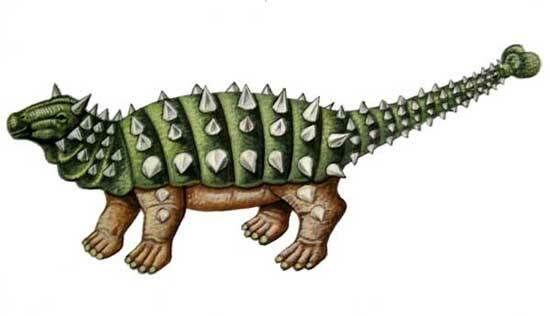 This name was applied because although the other ankylosaur from the Barun Goyot Formation, Saichania chulsanensis, has a skull twice the size, Tarchia has a larger braincase. However, the brain of Tarchia was still tiny in comparison to any mammal of the same size. All that is known of this armoured dinosaur is a skull, so there is much more to be learned about it in the future.The Tarchia is a type of ankylosaurid that roamed the sand dunes of Mongolia in the Late Cretaceous period. The ankylosaurid order is made up of dinosaurs of this type from North America and Asia with the Tarchia currently being the youngest known of Asian ankylosaurids. 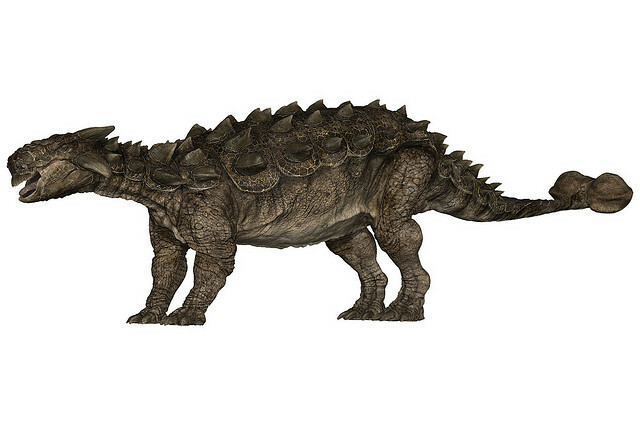 Like other ankylosaurid’s the Tarchia was massive and have a distinct club-like tail which was often used as a weapon. Currently five specimens have been discovered in the Nemegt Basin, Mongolia and these specimens support the fact of the Tarchia was indeed very large and is estimated to have weighed around 4.5 tonnes. None of the ankylosaurid’s is small by any means however the Tarchia is believed to be one of the largest and it is believed the Tarchia could reach 8.5 meters in length. The skull of the Tarchia is also very large measuring at around 16 x 18 inches. The name Tarchia is a combination of Latin and Mongolian dialects and literally means ‘brain’. This brainy dinosaur is believed to have inhabited the deserts of what is now Mongolia as the sites where the fossil specimens have been found show the remnants of sand dunes and possibly the occasional stream or small lake.